In the right experienced hands, laparoscopic procedures can be beneficial to patients as they reduce the extent of surgery required and shorten the recovery period. There are many benefits of these types of procedures including smaller surgical scars, reduced blood loss during the surgery, less pain due to the smaller incision, a reduced risk of infection as well as a shorter stay in hospital and a quicker recovery. Laparoscopic surgery, more commonly known as keyhole surgery, is when an operation is performed via one or several small incisions to the skin. Once the incisions are made, a tiny camera is fed into the body and the image is transferred on to a screen for the surgeon to see. The surgeon can then insert his laparoscopic surgical tools and carry out the necessary procedure, using the camera for guidance, and all without the need to make a large incision in the patient’s abdomen. Unfortunately, there are instances where keyhole surgery can go wrong and these incidents have increased in the past few years as the keyhole technique has become more popular. In 2014, three NHS surgeons were banned from using a keyhole technique to operate on cancer patients after the procedure led to at least five deaths. The three surgeons worked for Maidstone and Tunbridge Wells NHS Trust, which referred itself to the Royal College of Surgeons (RCS) after a number of “unexpected” and “potentially avoidable” deaths following keyhole surgery in 2012 and 2013. The RCS held an investigation and warned that the surgeons had “not been able to demonstrate sufficient attention to the detail of surgical outcomes or clinical decision-making to provide a safe service to patients” with regard to keyhole procedures. While such cases are rare, there are different ways in which keyhole surgery can go wrong and the risks depend on the type of procedure. For example, the surgeon may miscalculate the location of an organ or artery on the screen in front of him when in reality there are organs close by at risk of perforation. Mistakes are most commonly made as a consequence of a surgeon’s heavy handedness or errors in judgement when calculating the location of nearby organs and arteries. In our experience, most laparoscopy claims arise out of damage to the gall bladder, urinary tract, bowel and bladder during surgery. In some of the most serious cases we have seen, some patients have been left incontinent as a result of negligence during a laparoscopic procedure, which is of course completely life changing for the patient. Another common risk of a laparoscopic procedure is herniation at the wound site. When the incision is made, part of the abdominal wall is cut through which, even once healed, leaves the area in a weakened state and means that person is more susceptible to protrusion of an organ and formation of a hernia in future. Developing a hernia post-laparoscopic procedure is usually not life threatening and can be managed with a further surgical procedure to repair the hernia, usually placing a mesh insert to the area to prevent the protrusion occurring in future. Whether a laparoscopic procedure is right for a patient will be decided by a medical professional in consultation and their decision will be based on the patient’s previous medical history, current health condition, the nature of the procedure and the patient’s wishes. While a laparoscopic procedure has many benefits, like all medical treatments, it must be balanced against the risks and a patient should be made aware of the risks to be able to make an informed decision. A patient should also ask who their surgeon will be, what is the surgeon’s experience, how many laparoscopic procedures has he or she performed and what are the alternative treatments. A patient should make it clear as early as possible if they do not wish to have a laparoscopic procedure. There are many reasons a patient may wish to pursue a claim for clinical negligence following a laparoscopic procedure. They may feel like the medical professional responsible for their care nominated them to undergo a laparoscopic procedure which was not the appropriate method of treatment for them and has caused them to suffer post-operatively. A patient may feel like the surgeon who performed the laparoscopic procedure did not have the sufficient skill and experience to perform it and in doing so has made a mistake and caused injury to them. 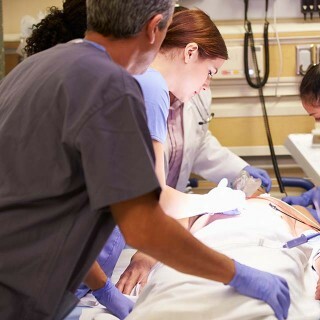 A patient might not even realise something is wrong until hours, days or weeks post-operatively and may feel there was a delay by the medical professionals in diagnosing and treating the problem, which may cause them further injury.